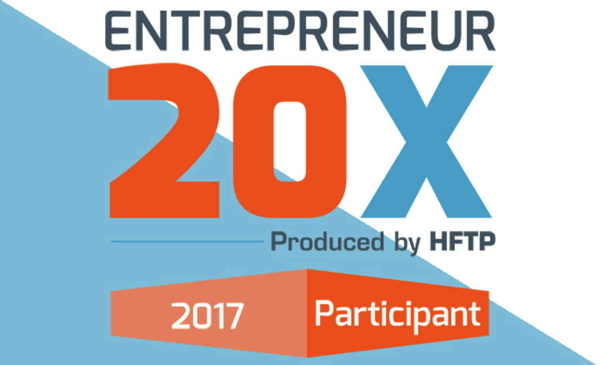 Hospitality Financial and Technology Professionals (HFTP®), producer of the Hospitality Industry Technology Exposition and Conference (HITEC®), is pleased to announce the selected hospitality technology startups that will be participating in the Toronto version of Entrepreneur 20X (E20X). All registered HITEC attendees and exhibitors, including Exhibits Only registrants, are welcome to attend the action-packed pitch competition that will take place on Monday, June 26 from 1:00 to 4:00 p.m. at HITEC Toronto – the world’s largest and oldest hospitality technology exposition and conference brand. This will be the second HITEC and E20X event HFTP has produced in 2017. E20X innovators have four minutes to present breakthrough business concepts to a room full of HITEC attendees as well as a panel of five expert judges. Selected startups compete for two available awards: the E20X Judges’ Award and the E20X People’s Startup Award. The E20X Judges’ Award, or grand prize, is determined immediately following the competition by the panel of judges; the startup deemed “most innovative” takes home a trophy and $5,000 USD. The E20X People’s Startup Award, or crowd favorite, is selected via the HITEC app by conference attendees. Attendees will have additional opportunities to visit with startups in days following the competition at the Digital Den and E20X Pavilion on the HITEC show floor. This year’s larger North American event HITEC Toronto will take place from June 26-29 at the Metro Toronto Convention Centre in Toronto, Ontario Canada. HITEC Dubai, the third and final HITEC of 2017, will take place from November 14-15 at the Conrad Dubai in Dubai, UAE in partnership with Naseba. In 2018, HFTP will bring back HITEC Amsterdam on April 11-14 in addition to HITEC Houston on June 26-29. For more information about E20X, email e20x@hftp.org or charlotte@somerscommunications.com. For more information about HITEC and HFTP’s other global activities, contact the HFTP Meetings & Special Events Department at education@hftp.org or visit www.hftp.organd www.hftp.org/hitec/. Hospitality Financial and Technology Professionals (HFTP) is a global nonprofit hospitality association, headquartered in Austin, Texas, USA, that uniquely understands the industry’s problems. HFTP has members and stakeholders across the globe. HFTP assists its members in finding solutions to industry problems more efficiently than any organization via its expert networks, research, conferences such as HITEC and certification programs. HFTP also owns the world’s only hospitality specific search engine, PineappleSearch.com. HFTP is recognized as the spokes group for the finance and technology segment of the hospitality industry. For more information about HFTP, email membership@hftp.org or download the HFTP/HITEC media kit via the HFTP website.